Zhenjiang Aerochine Aviation service Company Limited (or Zhenjiang Aerochine) and Ningbo Aerochine Aviation Service Company Limited (or Ningbo Aerochine) are subsidiary companies within Mainland China that are wholly owned by Aerochine Aviation Limited. 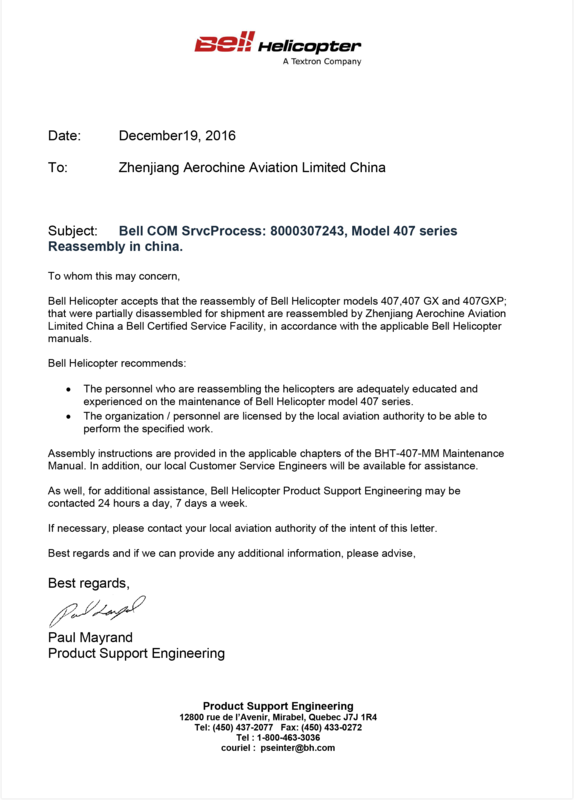 Zhenjiang Aerochine was established in October of 2015, and is the CCAR-145 unit of CAAC, as well as Bell’s Authorized Maintenance Center (AMC) of Greater China. Ningbo Aerochine is located in Ningbo City, Zhejiang Province. It is mainly engaged in the sale, import and export procurement, and logistics of spare parts and related businesses. Zhenjiang Aerochine and Ningbo Aerochine act as the after-sales service of the helicopter industry chain ecosystem created by Aerochine, and have a technical team with rigorous style, exquisite skills, and rich experience. The technical staff have obtained aviation machinery maintenance personnel licenses from the China’scivil aviation authority, enabling them to provide customers at different platforms with timely, professional, and localized technical services. The company emphasizes management, maintains cooperative relationships with OEM manufacturers over the years, and cooperates with many foreign companies. It is also equipped with strong and robust technical support. 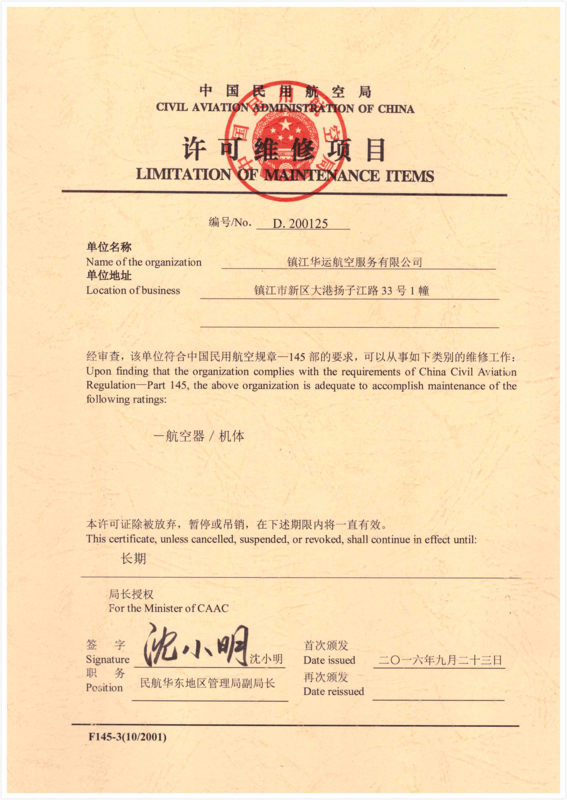 Zhenjiang Aerochine and Ningbo Aerochine’s qualifications are sound, with each having already received the Maintenance Permit and Maintenance License Project given out by the CAAC, the SpareParts Distributer Certificate from Bell’s Authorized Maintenance Center and China Civil Aviation Association, and the Registration Certificate of Customs Declaration Unit of The People’s Republic of China from China’s General Administration of Customs, among other qualifications. The company strives to develop and become a comprehensive helicopter service business that embodies collection of helicopter sales, leasehold display, helicopter shore reassembling, test flight, delivery, helicopter maintenance, major repairs, helicopter engineering and technical training, modification and addition to helicopter facilities, spare parts sales, claims, and import and export procurement.